Only 40 percent of Americans trust mass media to report the news accurately and fairly, according to a September 2014 Gallup poll. Jon Stewart gave us a reason to trust again. 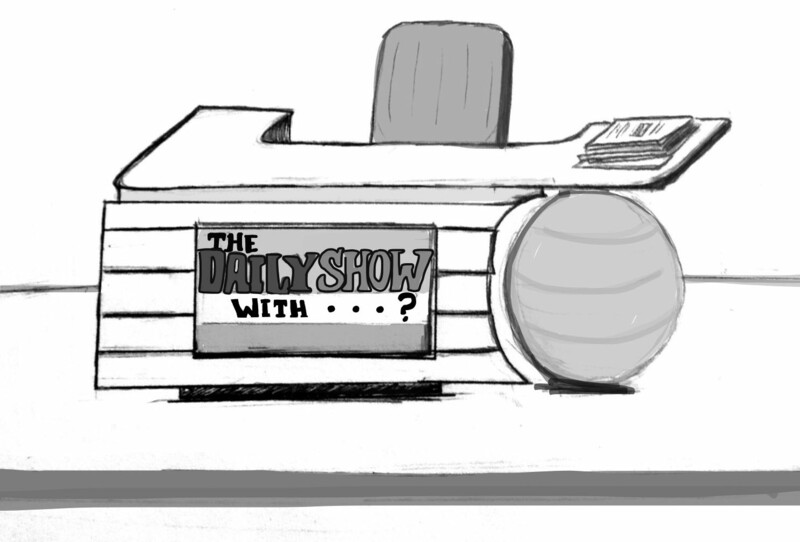 After 16 years as lead anchor, Stewart, a pioneer of political satire news reporting, is leaving “The Daily Show” with his contract set to expire in September 2015. In the wake of 9/11 and the presidency of George W. Bush, Stewart actively challenged the policies of Bush’s administration through a new genre of news — critiquing politics through comedy — in a format normally reserved for “professional” news anchors. With his presence at “The Daily Show” coming to an end, there is no doubt that Stewart will be difficult to replace. Whoever replaces him should be just as tenacious and driven to earn the trust that Stewart built with his audiences. Stewart, who serves to present news in a comedic manner, has been revered as a trusted news source for young liberals in search of honest reporting. He isn’t afraid to point out the absurdity of corporate media, politicians and society overall, which distract from the deeper issues. In 2012, the Pew Research Center for People and the Press conducted a survey which indicated that Stewart’s largest pool of viewers, at 39 percent, were between 18 and 29 years old. This number refutes the misconception by some that millennials are apathetic toward politics. While Stewart has helped the younger demographic better understand the nature of politics and political coverage, voter turnout is low. The U.S. Census Bureau showed that only 45 percent of eligible voters between the ages of 18-29 voted in 2012, which is significantly smaller than other demographics, such as ages 65 and older with 72 percent. Clearly more needs to be done to continue the younger demographic’s interest in politics — Stewart’s efforts to make politics more relatable is commendable and instrumental in keeping his young viewers engaged in what’s going on in their world. The way Stewart constructed his material made us actually enjoy talking about the serious issues of our society, giving us the tools necessary to make more informed decisions about these issues through laughter. Not even Barack Obama, the first president in office to appear on “The Daily Show,” was able to escape the sharp honesty of Stewart’s reporting. When addressing why Obama wasn’t in Paris for the march in response to the attacks on Charlie Hebdo, Stewart remarked, “How could the U.S. not be there?” As an anchor who consistently points out the hypocrisy within media and our elected officials, Stewart facilitates a fair discussion of every issue in the political arena. Major news media like Fox News and CNN have constantly felt the sting of Stewart’s commentary. In 2004, Stewart famously appeared on the show “Crossfire” in which he told CNN hosts Tucker Carlson and Paul Begala to “Stop hurting America” with endless shouting matches that ultimately present no purposeful discourse in the sphere of American politics. Not only has Stewart actively challenged the structure of conservative reporting, he also reaffirmed the need for an honest reflection and analysis of our country’s important political issues. Stewart represents sanity and integrity in the world of American politics. In 2014, the Public Religion Research Institute and the Brookings Institution held a survey that showed 17 percent of liberals trusted the “The Daily Show” to provide them with the most accurate information. The search for Jon Stewart’s replacement should not be focused on what actress, actor or comedian should sit at the “The Daily Show” desk, but should focus on maintaining the interest of both the younger generation and liberal demographic at large to keep these viewers engaged in U.S. political discourse.